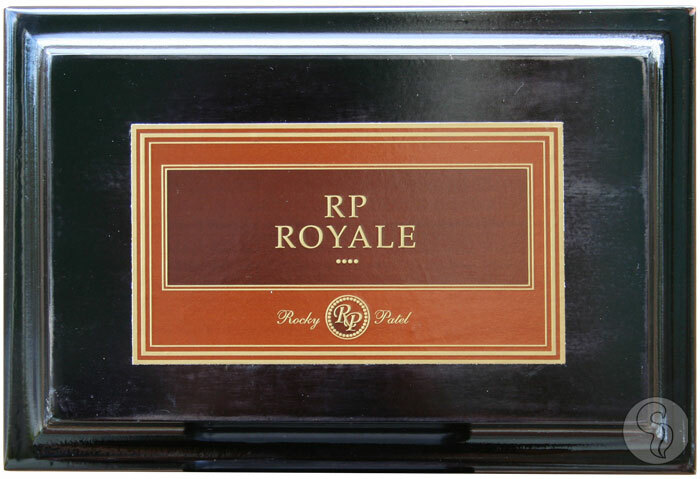 With over six years in the making, the new Rocky Patel Royale is crafted of some of the finest tobaccos available. Two very specific farms were used, and Rocky patiently waited as the tobaccos matured. Comprised of triple ligero Nicaraguan fillers, a double binder, and one silky smooth Ecuadorian Sumatra wrapper, the Royale is bursting with rich, complex flavors. Rocky himself describes this as the best blend he's ever made! This is a medium-full bodied smoke with full flavors of caramel, nut, coffee and spice at the forefront. Box-pressed and wrapped in a stunning gold and copper double-band, the Royale is a cigar that begs to be smoked.